Muay Thai Boxing is very traditional in Thailand and you can see fights for example in Bangkok, Chiang Mai, Phuket, etc.It is also called “the art of eight limbs”, because the fighters can use their 2 hands, 2 arms, 2 knees and 2 legs to attack the enemy. 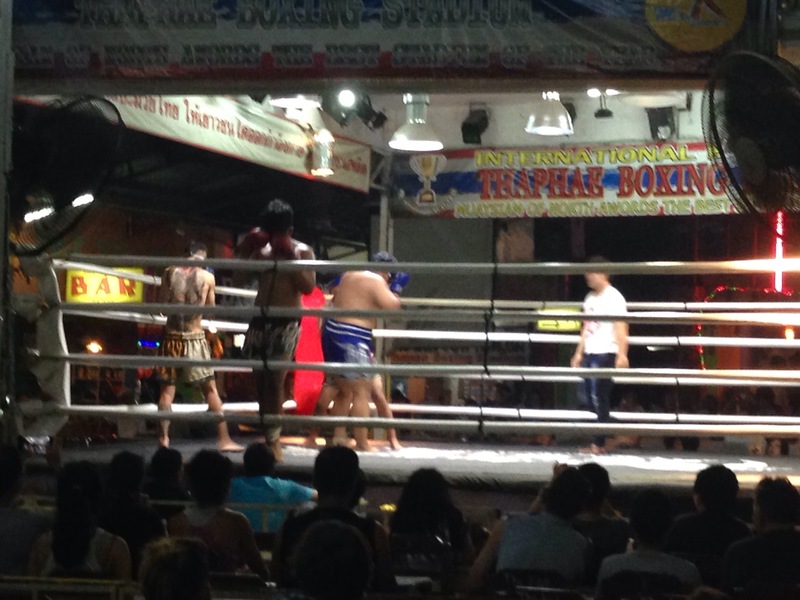 We saw a fight in Chiang Mai. The ticket price was 400 baht (10€) which includes a welcome drink, which was a little vodka+juice shot. The event started at 9 pm and they had 7 fights this evening. Sometimes they have international fights, where you can see German, Canadian, French, etc people fighting too. Unfortunately not the evening we went. Every fight can be up to 5 rounds and one round is 2 or 3 minutes, depending on the fighters weight. At first very young boys were fighting and one kid has been knocked out in round number 1. That was very crazy to see and at the beginning I was so shocked that they have fun hitting and hurting their opponents. But they know how to do it and how to protect theirselves. The next fights took a little longer but no one made it to round 5. But in one fight the guy felt down the barrier of the boxing ring and that was very scary to see, because we were not sure if he is ok or hurt. A few seconds later he could get up by his own and was able to walk! After there was a funny fight with 4 people in the ring with covered eyes weaving around and trying to hit somebody. The last fight was the main fight, which was definitely not the best, but it took 5 rounds. 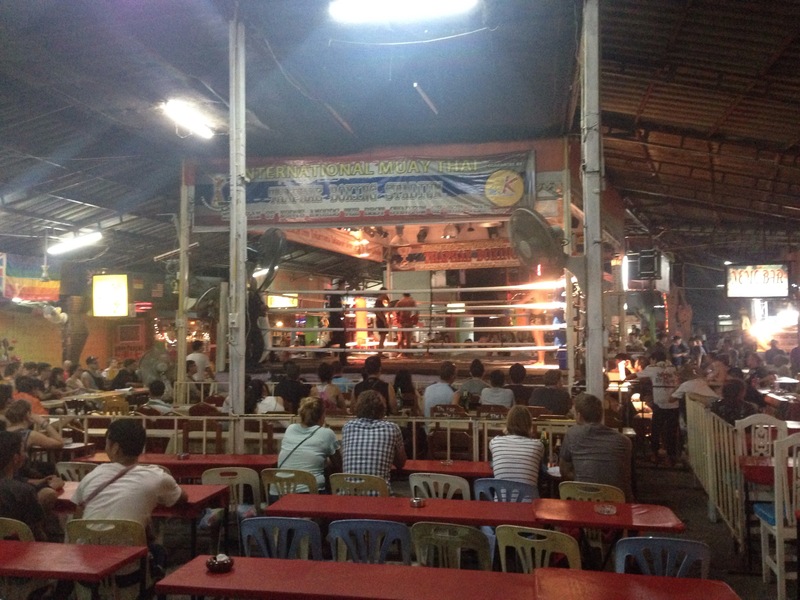 Finally I can recommend to go and watch one Muay Thai boxing fight if you get the opportunity! This is one of many things you can do in thailand! 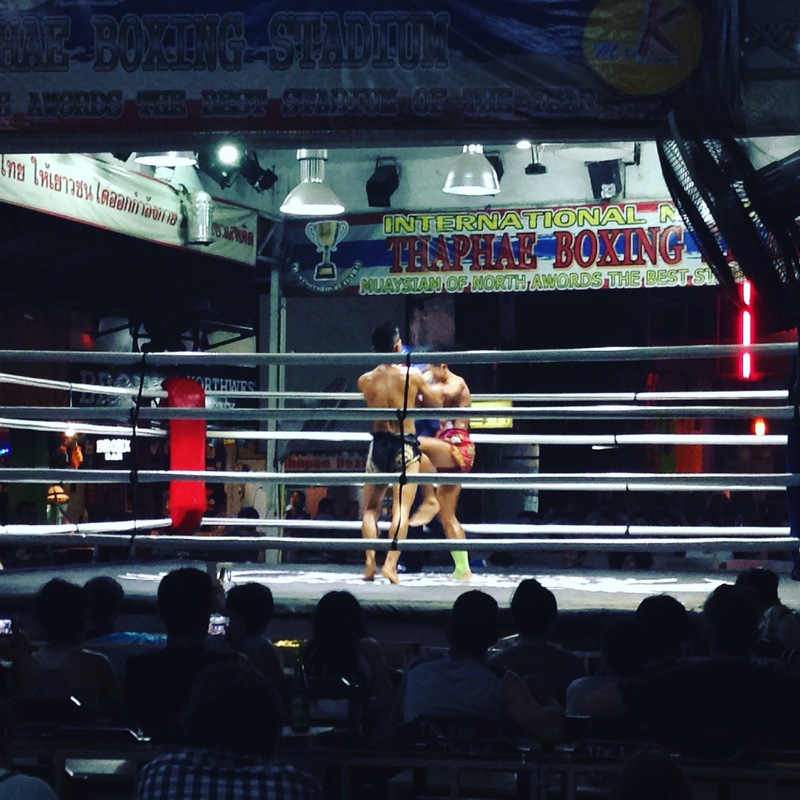 Have you ever been to a Thai boxing fight? What experience did you make? What else can you recommend for Thailand? Let me know in the commends below.